In his most questionable stab at humor since Mortdecai, Johnny Depp jokingly suggested while on a press tour that Australia forced him to kill and eat his dogs. 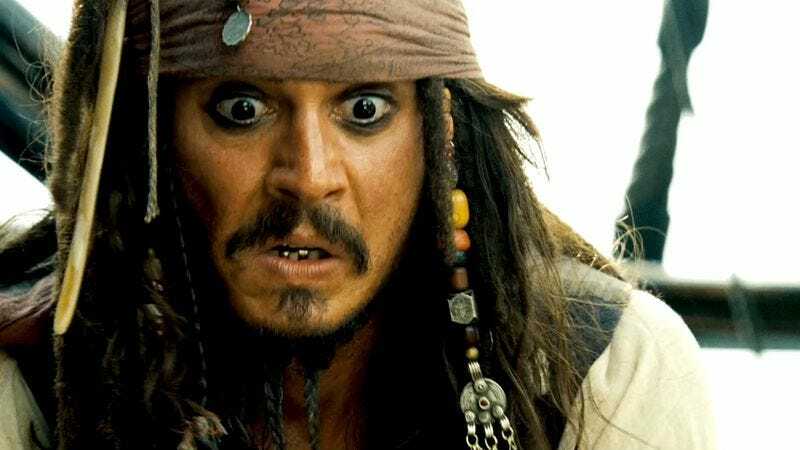 Those interested in world affairs are no doubt aware of the actor‘s recent battles against the Australian government, which has threatened to jail Depp and heavily fine his wife Amber Heard because the couple brought two Yorkshire Terriers into the country without clearing them with customs first. The New York Daily News reports that while Depp was doing press for Black Mass at the Venice Film Festival, the actor claimed, “I killed my dogs and ate them under direct orders from some kind of, I don’t know, sweaty, big-gutted man from Australia.” That particular cheap shot seems to be directed at Australian Agriculture Minister Barnaby Joyce, who had threatened to euthanize the dogs as part of his country’s stubborn policy of not letting (more) foreign species overrun their ecosystem. The Daily News, meanwhile, showed admirable restraint in not using the “What’s Gilbert Grape Eating?” headline they’ve had in their back pocket for just such an occasion. The saga is not over, as Heard has to answer a court summons in Queensland later this month. So there’s still room for more regrettable things to be said on both sides. The dogs, as of press time, have not actually been eaten.